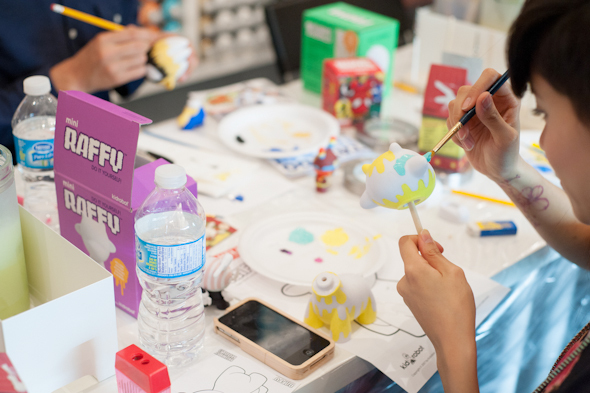 The top makerspaces in Toronto will have you getting crafty all over the city. While it's easy enough to raid the shelves at Michaels and pull up a YouTube tutorial or Pinterest page, things don't always go as planned when it comes to DIY projects. These places offer hands on guidance that'll have you putting together a masterpiece instead of a monstrosity. 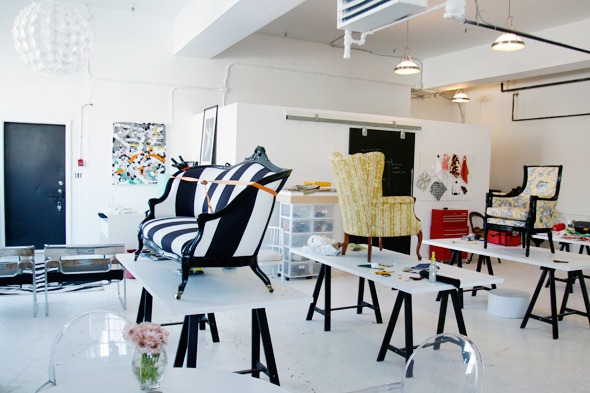 Here are my picks for the top makerspaces in Toronto by neighbourhood. ROWAN is first and foremost a decor store, slinging one of a kind vintage pieces and apothecary goods. But, if you hit it on the right day, you'll find it filled with crafty Beachers making skincare potions, soaps, kombucha or other natural bits and bobs. Site 3 coLaboratory is an art and technology makerspace located near Bloor and Ossington. It offers classes on woodworking, glassworking, 3D printing and more in its 2,000 square foot space. It also has open studio times for those who don't need a helping hand. Right where Bloor West meets Jane you'll find MakerKids, the biggest makerspace for tykes in the world. It has three specialties: Minecraft, robotics and coding, making it ideal for tech savvy creators. Though the workshop caters primarily to children, you'll also find a few adult worthy classes. STEAMLabs is another option for the technological adept. The classes here include 3D printer training, laser training, CNC router training and Vector 101. It offers one-off workshops, bootcamps and full memberships (for those looking for a bit more DIY time). The Toronto Tool Library, equipped with over 3,000 tools, a 3D printer, a laser cutter and a full wood shop, offers a little something for everyone. While the shop does offer workshops and events, signing up for a membership will give you 24/7 access to the space and all its bells and whistles. Its original location still remains in Parkdale, if you want a similar option on the west side. Just off of Geary on Westmoreland you'll find an upholstery mecca perfect for those who like to give their home a personal touch. Re:Style Studio offers workshops on DIY headboards, pillow dying and furniture revamping of all sorts. You can also get a membership to the makerspace where you're free to work on independent projects. If you want to skip messing around with wood and wires, head to Paperhouse Studio on Dundas West. The space is dedicated to the paper and print arts and hosts classes on origami, book binding, monoprinting, papermaking and more. If you hail from the far west side, head to the New Toronto Makeshore. It offers classes on personalized 3D cookie cutters, DIY toolboxes, etching and more. Interested in working with metal or glass? Try Nanopod on Harbord. The space has all the tools you'll need to turn sterling silver into rings and mould glass into dinnerware. It also regularly hosts taxidermy classes, which is a rarity in this city. ARTiculations is known to many as an art store, but it also hosts a ton of classes in its on-site workshop. If you don't want to mess up your own home with watercolours and acrylics, take advantage of the space and learn a thing or two from its instructors. 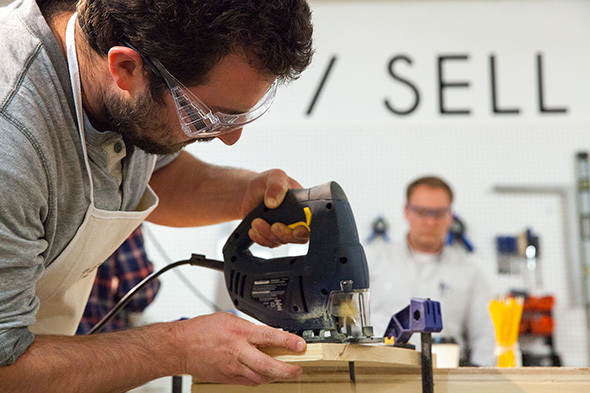 The Junction Workshop deals strictly in woodworking, offering hand-on courses on furnishings and power tool safety. The space has all the drills, saws, hammers and nails you'll need to craft your own pieces, saving you the hassle of dealing with IKEA instruction manuals. Kid Icarus is much more than just your average stationary store, it regularly hosts screen printing and lino carving classes. While the shop does have a host of ready made cards and prints for sale, making your own is a little more satisfying. Mindzai is a toyshop/DIY hybrid that'll have you embracing your inner child. Instead of fussing around with a ton of bits and pieces, you'll be working with ready made figurines from brands like Kidrobot to produce your very own toy. Slightly north of Queen on Carlaw you'll find RAWspace, a multi-use venue that acts as a pop up jewellery studio, showroom and workshop. When it comes to classes, its specialty is jewellery. But if you're not into that, you can learn other skills like pottery, mandala drawing and 3D printing here, as well. The Shop is a multidisciplinary DIY-lovers paradise tucked away in a converted loft building. You'll find it filled with tools for woodworking and ceramics, as well as tables, equipment, and WiFi. 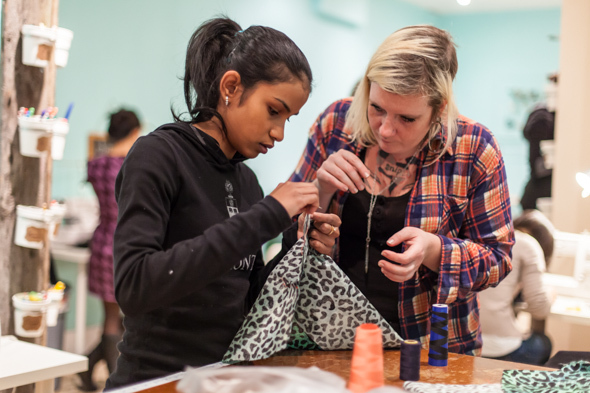 You can use the space for independent projects or sign up for one of its many classes - there's everything from facial serum workshops to wheel throwing courses offered. Inter/Access is a gallery-meets- workshop on Ossington, just north of Queen. The workshops here cater to those with an affinity for technology, with how-to courses on DIY sound synthesizers and game-making filling up the schedule. At The Workroom sewing is the name of the game. It hosts classes on how to master pattern sewing, quilting, alterations, and more. If you've already mastered the basics and don't need the help of a seasoned pro, you can opt to pay by the hour to use the shop's equipment. If you have varied interests, Artless Hub may be the workshop destination for you. It holds paint & wine nights, cooking classes, kaleidoscope workshops and more. It's one of the most divertse makerspaces in the city. The Make Den offers classes on sewing that will help you get acquainted with a needle and thread as well as more specific courses on quilting, working with leather, and fabric dying. There's also open studio time available, if you just want to take advantage of its equipment. West siders can hit the second location in Bloorcourt. At Biu DIY Studio you can play by your own rules. Use the workshop's array of Diamond Blocks, Perler Boards, modelling clay and 3D puzzles to create your own originals. You probably won't come away with AGO-worthy masterpieces, but who cares? Head just south of St. Clair West on Bathurst and you'll find DesignHer Co., a shop that hosts DIY classes focused on creating gift-worthy goods and fashionable accents. The hour-long workshops range from jewellery and textile design for adults to a variety of kiddie classes. Assembly holds small group workshops on jewellery making, tarot, herbalism and everything in between. If you don't need a hand with your project, there's frequently open studio time. It also hosts events that bring Toronto's makers together, if you're on the hunt for new friends to collab with. Passionknit, as the name implies, is focused on knitting. It offers classes for novices, skilled knitters and everyone in between. If you don't like the materials you're working with, it's easy to switch 'em up by purchasing some in store. Photos (in order) by James C. Lee, Kat Rizza, Dayna Winter, and Brian Chambers. What did I miss? Add your favourite Toronto makerspace to the comments.